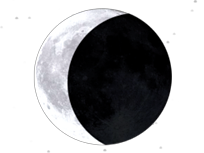 Did you mark Earth Day? Should the City of Saskatoon implement Bus Rapid Transit lanes on Broadway Avenue? Do you plan to see a Saskatchewan Rattlers game? Are you satisfied with The Saskatoon Blades' performance this season? 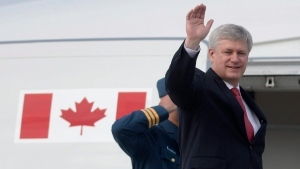 Should Jane Philpott and Jody Wilson-Raybould remain in federal politics but switch parties? Should the province of Saskatchewan cover the cost of the abortion pill? 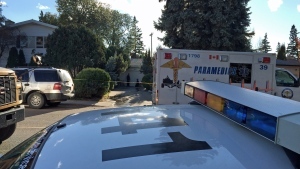 Four men have now been arrested after a man was shot to death in Saskatoon in October. 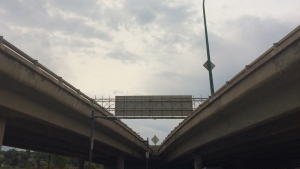 Repairs on Idylwyld Drive over the 19th Street overpass are set to begin on Sept. 14. 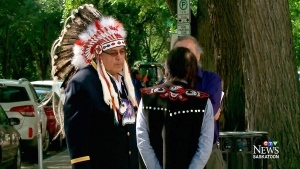 A First Nation challenging a federal law that requires Indian bands to make their finances public says it is seeking help from the United Nations. 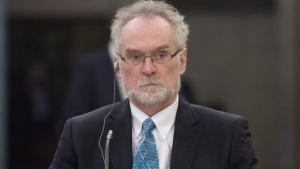 CTV News has learned the Senate will not immediately implement recommendations put forth in a costly auditor general's report due out today, even as the Senate faces heavy criticism for alleged spending abuses by at least 30 of its members. 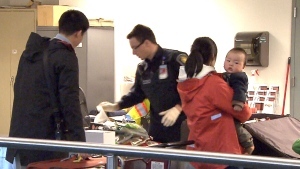 Air Canada and the Vancouver International Airport are investigating after a security breach Sunday afternoon allowed passengers arriving from Beijing to enter the country without going through customs. 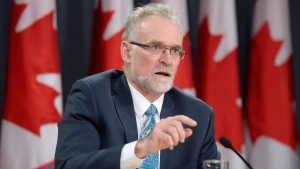 After almost two years of work, auditor general Michael Ferguson's long-awaited audit of Senate spending is about to be released to the public. 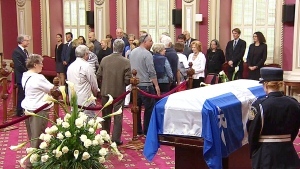 Thirty years worth of Quebec leaders attended Jacques Parizeau's funeral Tuesday as premiers past and present paid tribute to the sovereigntist icon who is credited with playing a key economic role in ushering the province into the modern era. 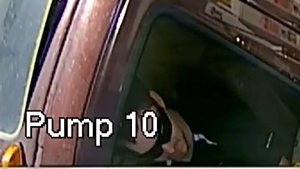 Calgary police are searching for two suspects in an alleged gas-and-dash that left a 35-year-old woman in serious condition after she tried to stop the men from fleeing in a stolen pickup truck. 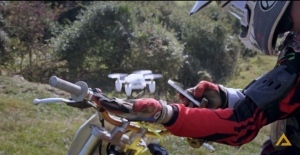 A new wave of autonomous drones fitted with self-tracking video cameras appear destined to change the way we record our memories. 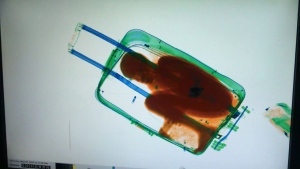 The father of an Ivory Coast boy caught being smuggled into Spain in a suitcase last month has been freed on bail, allowing the family to be reunited. Engaging kids in active outdoor play is a key focus of the new ParticipACTION Report Card on Physical Activity for Children and Youth. 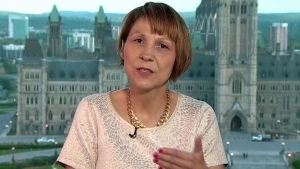 An aboriginal child welfare advocate says she has been vindicated by a recent ruling from the Canadian Human Rights Tribunal, which found a government official “retaliated” against her six years ago. 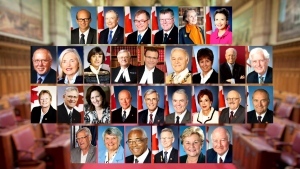 CTV News has obtained a breakdown of the amounts that 30 senators are said to owe taxpayers for filing allegedly questionable expense claims, and who from that group has started to pay the money back. 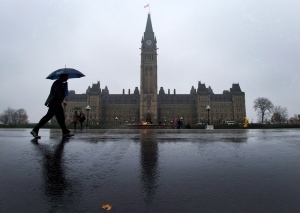 As the very existence of the Senate is called into question over less than $1 million in allegedly improper spending by 30 senators, more than double that number of MPs have been accused over the past five years of mis-spending more than quadruple that amount. 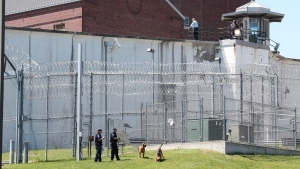 As the manhunt for two convicted killers who broke out of a northern New York state maximum security prison over the weekend continues, police on both sides of the Canada-U.S. border are on high alert. 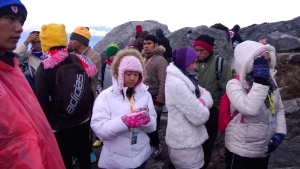 Two Canadians have been prevented from leaving Malaysia, accused by local authorities in Borneo of being part of a group of tourists who stripped off their clothes for a photo session at the top of a sacred mountain. Supermodel Kate Moss has been escorted off a plane after reportedly being disruptive while travelling from Turkey to London's Luton airport. 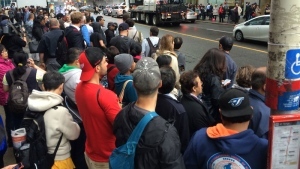 Approximately 150,000 people were affected by a "communication issues" that left Toronto's subway system at a standstill during morning rush hour. When your friends make three times your salary, you don’t want to rain on their parade, but you also don’t want to go broke pretending you share the same high income. 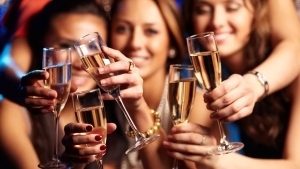 So how can you spend wisely when hanging out with buddies outside our tax bracket? 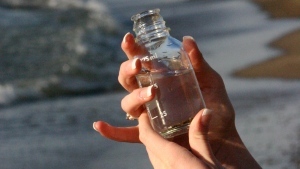 Artificial sweeteners used in many food and drinks are making their way into bodies of water around the world, according to researchers. Now, scientists are studying what impact these sugar substitutes could be having on aquatic life and the human food chain. 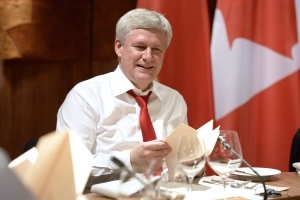 Here are five things to know about the G7 leaders' summit that Prime Minister Stephen Harper will be attending Sunday and Monday in Germany. 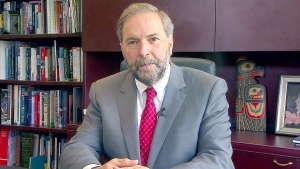 NDP Leader Tom Mulcair says he would sit down with the premiers to discuss the future of Canada’s “archaic” Senate if elected. Two convicted murderers who used power tools to escape from prison near the Canadian border must have taken days to cut through steel walls and pipes and break through the bricks, Gov. Andrew Cuomo said Sunday as a $100,000 reward was posted for information leading to their capture. 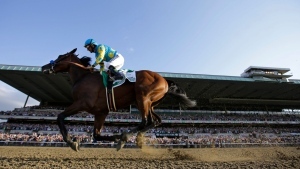 A hero's welcome greeted Triple Crown winner American Pharoah in Kentucky on Sunday, the first of many such receptions expected for the sporting world's newest superstar. 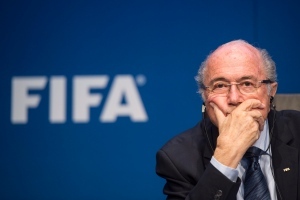 A 2007 email shows FIFA President Sepp Blatter and then-South African President Thabo Mbeki held "discussions" over $10 million that ultimately went to allegedly corrupt soccer executives as payback for supporting the country's World Cup bid, a newspaper claimed Sunday. 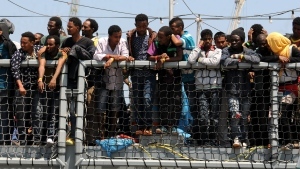 Heartened by recent election successes by an anti-immigrant party, Italian politicians based in the north vowed Sunday not to shelter any more migrants saved at sea, even as hundreds more were being rescued in the Mediterranean from smugglers' boats in distress. 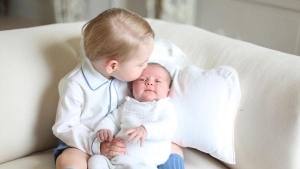 The royal family has released the first official picture of Princess Charlotte with her older brother Prince George. When someone has won as many significant matches and titles as Serena Williams -- her Grand Slam trophy count now stands at 20 -- it can be hard to decide how to sort them by degree of difficulty or order of importance. 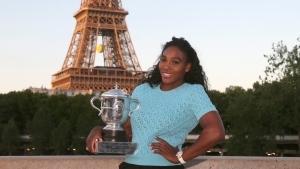 She puts her 2015 French Open championship high on the list. 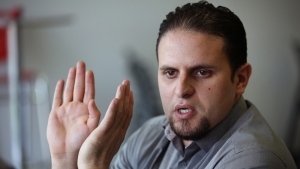 A small number of Europeans are presenting their jihadi past as an example for others not to follow.